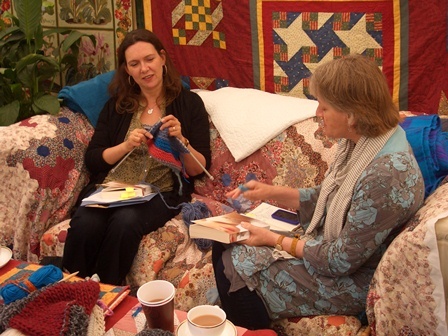 Joanna took part in the Port Eliot Festival in Saint Germans, Cornwall discussing her book in the Round Room before heading over to the dovegreyreader tent (see photo) to discuss her latest novel You and indluge in a little knitting. The plot twists (not all of them) and the location (Dartmoor) featured large, along with teenage obsessions and the relentless way that the spirit of the house that had so dominated her childhood and teenage years kept returning to haunt her. Read dovergreyreader's full post about the visit here and the review of 'You'.